For our latest book club selection we chose the Pulitzer Prize winning novel by Anthony Doerr, All the Light We Cannot See . It’s an amazing tale of World War II interweaving the lives of a blind French girl and a brilliant German boy who grows up within the Nazi regime. In circumstances of survival we see beauty, love, and grace shine through. We talk about redemption, sacrifice, standing up for one’s conscience, and the hidden workings of grace in our lives. We had a great time discussing this novel that really sinks into your soul and stays with you. 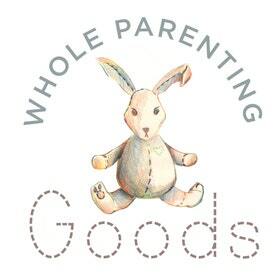 Today’s podcast is sponsored by Whole Parenting Goods. Beautiful handmade textiles for the babies in your life, made by at home mom to three, Nell. You can listen to us on iTunes, and we’d love a quick rating or review. If you have an android device we’re also on Stitcher. And as always, you can find all links, show notes, upcoming guests, and listen to all episodes at Fountains of Carrots.com. This week we have a treat for you because the lovely Rachel Balducci, mother of six, joined us on the podcast. Rachel is the co-host of The Gist on Catholic TV, author, speaker, newspaper columnist, blogger at Testosterhome, and this year began teaching in the classroom. She’s an inspiring and encouraging lady and full of fun! We were excited to chat with Rachel because her kids are a bit older than ours and we wanted to pick her brain about what it’s like to have big kids and how life changes as your kids grow up. She has so much wisdom to share about raising a family, how to do discipline, and all that we have to look forward to (the good and the bad). We also laughed a lot and talked about the plight of the Catholic mom who enjoys an occasional cigar. It’s a great conversation and we hope you love it! Fountains of Carrots in your Inbox?